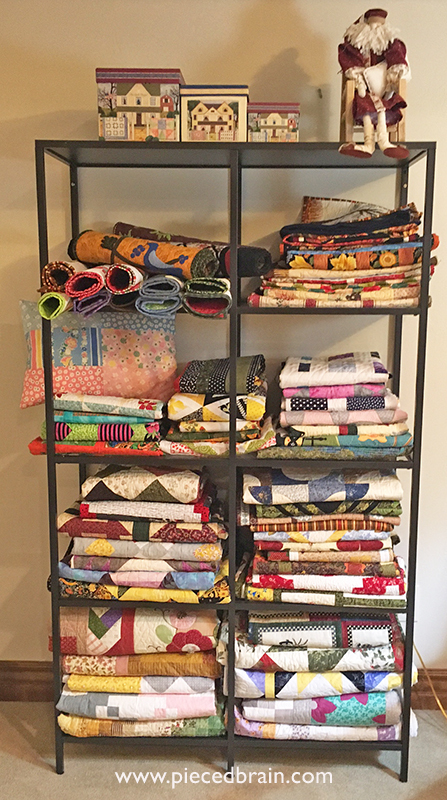 I finally got a tall shelf unit from IKEA to store my quilts. I did not want anything with doors so it would be easy to get to them, pet them, show them to friends, and use them. One change I made: I used to fold them with the backing out to 'protect' the front. Forget that! This winter has brought so many gray days that it has me craving colors every day! Now I can see them in all their glory. 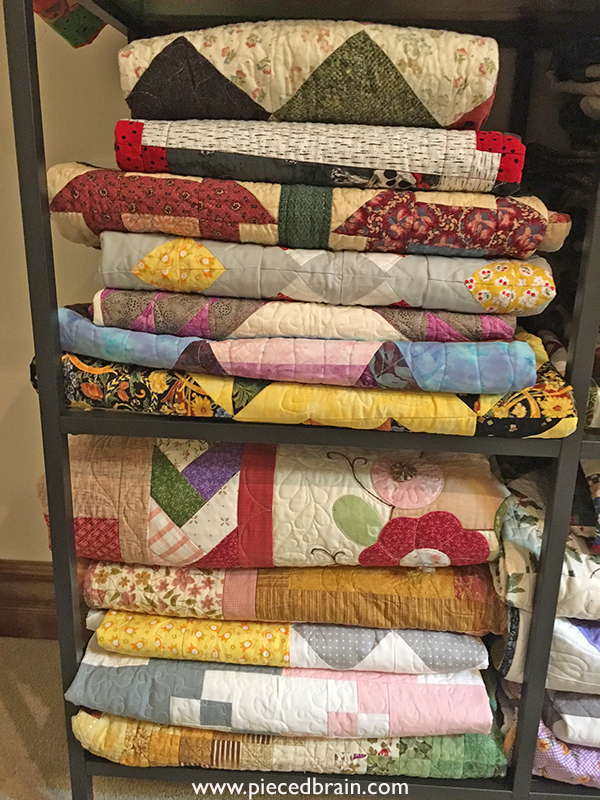 Although I have moved my quilt room to a larger room in the basement, there was no room for the quilts (there are about 65 on the shelves, plus another 25 in other rooms, plus 6 or so at the magazines waiting to be published, about 10 that need quilting, and a few more already cut! Ai ai ai...). So, they now live in the great room, lighting up a corner. It is so fun to look at them and remember when and why I made them... As you can see, I do not discriminate against color way, technique, or fabric line! 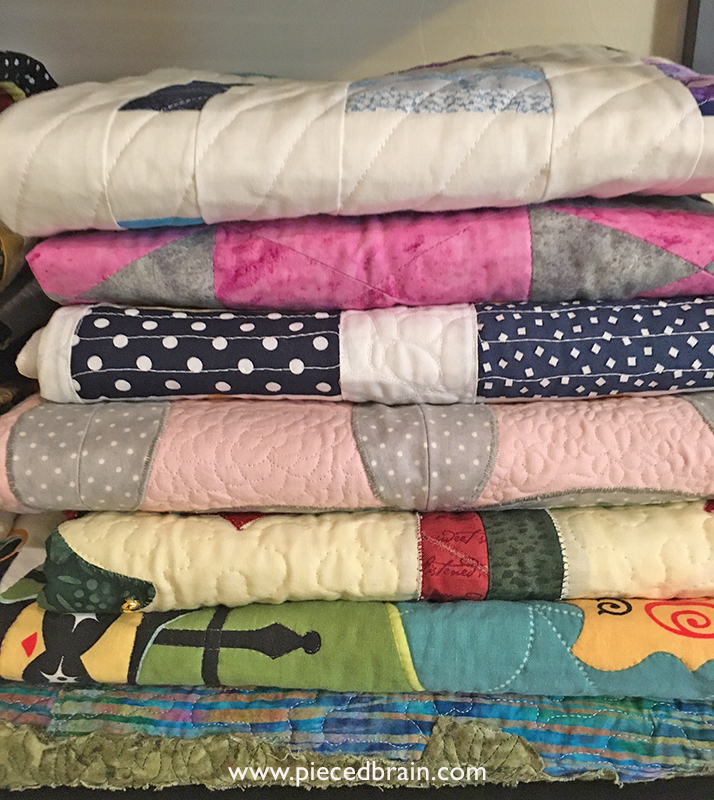 This storage system also makes it easier to refold quilts when it is time, to prevent long-lasting creases from forming. On the very top, Santa Claus has taken up permanent residence. My sister made him for me a few years ago and he has lived in my quilt room since. However, he now presides over my quilt collection, to remind me that each quilt I made, and the very fact that I am able to make quilts, is a gift! 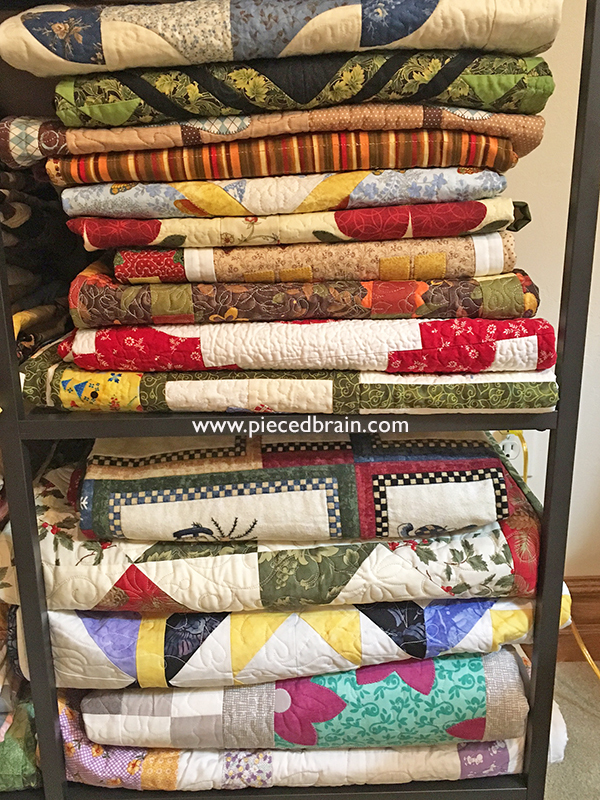 How/where do you store your quilts? While you think about it, I have a hot date with the root canal guy. Wish me luck!